Lately, checking in on the news has felt tougher than ever. Whether it’s politically charged disagreements, natural disasters, or instances of mass violence, staying optimistic about the future hasn’t felt easy. It’s especially difficult now, after the tragic shootings at two mosques in Christchurch, New Zealand. After tragedies, we can often feel torn between wanting to stay updated and informed, but also struggling to process the information emotionally. If you’re feeling overwhelmed by the news lately, you’re far from alone. 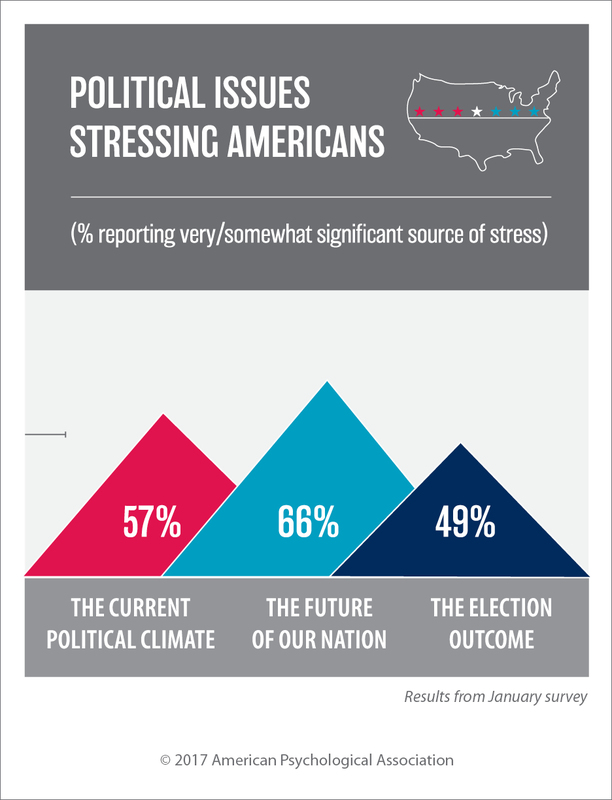 The American Psychological Association reported that at the start of 2017, 66 percent of Americans saw the future of our nation as a very or somewhat significant source of stress for them. They also found that in 2017, 34 percent of Americans reported stress because of their personal safety, which increased by 5 percent since 2016. If you're feeling overwhelmed by the news, you're far from alone. Researcher Mary McNaughton-Cassill at the University of Texas-San Antonio specifically studies how negative news affects viewers and readers. In an interview with New York Magazine, she said while ingesting bad news won’t give us anxiety or depression if we’re not predisposed to those illnesses, it can affect our attitude about the world around us. Consuming bad news can lead to feelings of helplessness and can trigger us to view the world in darker ways, which can impact our optimism. It can also affect our desire to take action. But there are steps you can take after a tragedy to help you get back to a place of self-care, optimism, and advocating for the issues you care about. Before you can process the information, it’s important to accept that it happened. “The first thing I would recommend is to acknowledge that a tragic event happened, and that it’s okay to have feelings about it,” Stephanie Dowd, Psy.D., a clinical psychologist, told Teen Vogue. Take a moment to acknowledge what happened. If you feel comfortable, maybe read a few articles or view videos from different sources to get the best picture of what happened. If visuals tend to be too much, try listening to a radio news briefing instead. Then, start acknowledging how the events are making you feel. It can help to process the event with other people. If you can, talk to a close friend or family member so you’re not alone while coming to terms with what happened. Matthew Goldfine, Ph.D., a clinical psychologist, tells Shine that it’s easy to get sucked into the 24-hour news cycle, especially during a tragedy. “It can distort how we see the world around us, usually as much more dangerous and violent than it really is,” Goldfine says. It’s more than OK to turn off the TV or put down your iPad and limit your intake of information. And if you don’t ever feel ready to learn more? That’s OK, too. It’s more than OK to turn off the TV or put down your iPad and limit your intake of information. Use that break to take care of yourself by getting exercise, nourishing yourself in healthy ways, or getting some sleep. “By taking care of our bodies, we put ourselves in the best position to cope with whatever life throws at us,” Goldfine says. Perhaps you have anxiety, PTSD, or depression, and certain news events may trigger a more intense response. We all have unique backgrounds, and we react differently to certain events. Taking these factors into consideration will help you understand and gauge your emotional reaction. Ask yourself: How do I feel as a whole? How do the events affect me, and how do I feel about that? What do I need right now to soothe me emotionally? Ask yourself: How do I feel as a whole? Sometimes, you might need extra help figuring things out. If you are continuing to struggle for a long period of time or you’re experiencing significant life impairment, Goldfine recommends seeking help from a professional as soon as possible. For immediate support, if you're in the U.S. you can text Crisis Text Line at 741741. Lifeline Australia and Lifeline New Zealand are also available for crisis support 24/7. Goldfine emphasizes relying on your support system and reaching out after a tragedy. “There is a reason why so many cultures emphasize being around friends and family during difficult times—it helps,” he says. When discussing the events, try and talk to someone who can listen, observe, and comfort if needed. Try and talk to someone who can listen, observe, and comfort if needed. If you don’t know how to start the conversation, try using a tactic created by psychologist Marshall B. Rosenberg. His process can help you frame things in a non-threatening way, and it can help you understand your own thoughts and feelings, too. It all starts with “I” statements. Let your support sytem help you establish the practices and tools you need to cope. As scary as tragedies are, it’s important to remind ourselves that we live in very safe times. To return back to your usual routine, focus on the facts (“How many times have I known a victim of something like this personally?”) rather than the emotion (“How awful would it be if something like this happened to my family?”). This framing can help you stay realistic. Goldfine recommends putting your actions towards doing something good to balance out the current negativity. This could mean supporting survivors, the community, or your family in the wake of events. When we hear of something tragic, it’s easy to begin to map out what could happen next. “When we dread a future event, it’s often because we have already created a negative story about how the events will unfold,” Kerry Ann Rockquemore, Ph.D, explains in an article for Inside Higher Ed. But we can’t predict things so plainly. Before you run off with a million “what ifs” and domino events that you think might happen, try to be open to the future and the potential for positivity. Stressing about what hasn’t happened yet will only add unnecessary weight to your shoulders. It is completely normal to feel devastated, angry, or scared in the wake of tragedy. Goldfine mentions that as long as you are improving with time, don’t berate yourself for being upset. Let yourself heal at your own pace. Also: Try to release your need to find a why behind a tragedy. Nobody understands tragedy. It happens and it’s awful, sad, confusing, and frustrating. As is natural in human nature, we want to try and break apart all of the details to find reason in the unthinkable. But it’s a futile mission. Accept you won’t have an answer to your why, but know you have the power to care for yourself as you cope with the what.